Place the foods into the spots they belong. Toss unwanted foods into the bubbling pot. You are a witch who cooks a special magic stew on the Halloween night. You need to collect the required ingredients before you run out of time. 6 ingredients will appear in the bottom of the screen. 4 lines of black shapes will be moving above the ingredients line. You need to drag ingredients from the bottom line to their shapes on the moving lines. Once all shapes in one line are filled with ingredients, this line stops. Your goal is to fill and stop all 4 lines. Use Mouse to place the foods in the right shapes. 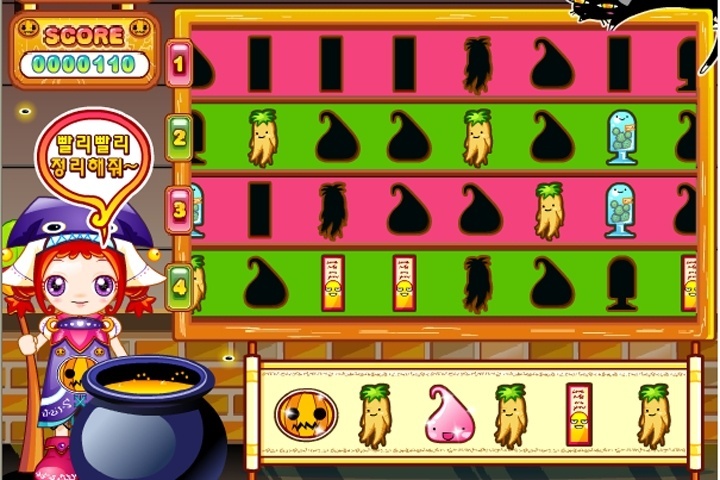 If you want to play Food Finder games online you have come to the right place! GamesLoon adds new Food Finder games every week. This is your game portal where you can find the biggest collection of free Food Finder games online. Do not forget to rate our Food Finder free online games while playing!